Mosaic ikon showing the Virgin - the Visitation. The Virgin is shown in protome in a gold field, holding the Child in her right arm. 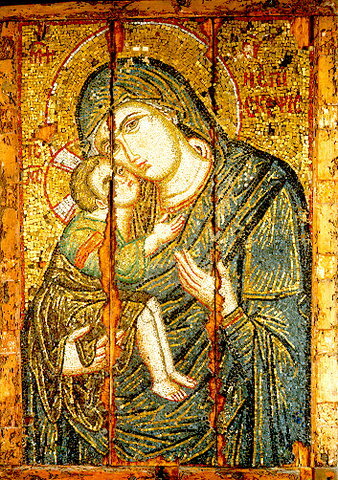 One of the most important of the large mosaic ikons. Dated in the 13th-14th century.